Recently I went to a fish fry with my good friend Simon and was taken back in time with some lovely Bajan songs that, I must admit, I didn’t appreciate much growing up, but now that I’m older I can really say I like! The old kiaso really tells some of the political and social history of Barbados (“Boots“, “Emmerton“, “Bajan Fisherman“, “Jack” by Gabby come immediately to mind) and on this 44th anniversary of our Independence I thought I would share some of these songs with my blog friends. For all my non-Bajan readers: let’s play a game. See if you can guess what these things mean if you’re not Bajan by birth or association…..
Bajanism #1: Yuh know yuh is a Bajan when yuh know who Joe Monkey is…and when to look fuh he. Bajanism #2: Yuh know yuh is a Bajan when yuh know that the “Days” does start at 6pm. Bajanism #3: Yuh know yuh is a Bajan when yuh does lower up de T.V. Bajanism #4: Yuh know yuh is a Bajan when yuh know de word “quiet” has one syllable and “worm” has two. Bajanism #5: Yuh know yuh is a Bajan when every thing from yuh hip down to yuh toes is your “foot”. Bajanism #7: Yuh know yuh is a Bajan when yuh know that bakes get fried. Bajanism #8: Yuh know yuh is a Bajan when yuh know de word “France” can be used as an expletive. Bajanism #9: Yuh know yuh is a Bajan when yuh know dat “Cheese on bread” could be a meal, or an expression of frustration. Bajanism #10: Yuh know yuh is a Bajan when yuh know dat yuh does “Keep” noise as opposed to “Make” noise. Bajanism #11: Yuh know yuh is a Bajan when yuh know how to stupse. Bajanism #12: Yuh know yuh is a Bajan when yuh know bout Sun-duh lunch. Bajanism #13: Yuh know yuh is a Bajan when yuh know dat “Cuttin’ yuh eyes”, “Cuttin’ yuh tail” and “Yuh belly cuttin” aint got nutten to do with scissors, knives or any sharp objects. Bajanism #14: Yuh know yuh is a Bajan when locations in your house include de veranda, de gallery and de front house. Bajanism #16: Yuh know yuh is a Bajan when yuh know dat “up de road” and “down de road” could be the same direction. Bajanism #17: Yuh know yuh is a Bajan when yuh know dat the phrase “My man” can be directed at males other than your husband or boyfriend. Bajanism #18: Yuh know yuh is a Bajan when yuh know yuh hair does bite yuh sometimes. Bajanism #19: Yuh know yuh is a Bajan when yuh know dat yuh pooch AINT your dog. Bajanism # 20: Yuh know yuh is a Bajan when ‘boxy’ isn’t a description of a box-like shape. So there you have it! Guess away!!!!! The one who guesses the most will be conferred with the title of Honourary (yes, that’s spelt right, WordPress! stupse) Bajan For the Day! Barbados means the world to me. 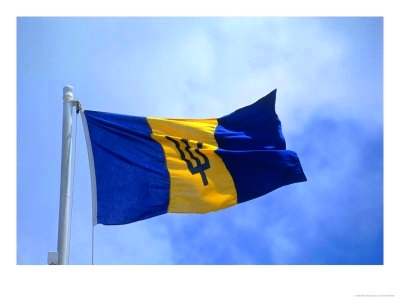 Tomorrow, November 30th, is Barbados‘ 44th anniversary of independence from Great Britain, obtained in 1966. Pretty busy day today, but I have a post all archived for you – with much song and dance, and a game! Can you figure out what these Bajan sayings mean? This post was started on Sept 3rd, this year, but I have had it sitting in my blog’s draft folder because it’s a little (ok, a lot) too close to home for comfort. But I found myself reading John 21 again today, so I thought I’d try to finish it…. The last time I read the Scriptures (about 2 days ago) I read the account of when Peter announced, “I’m going fishing” to the rest of the disciples after Jesus’ death. He was going back to his old life – a sense of disappointment and failure dogging him. He had denied the Lord – after he swore to stay with him to the end… and now Jesus had died. (The fact of the resurrection notwithstanding.) I feel SO like him right at this moment…..
I’ve had a lot of things going on. A LOT. I’ve gone quiet on the blog because I didn’t know how much to share. But just know that I’ve been constantly dogged with depression, thoughts of failure and of giving up – probably just like Peter here. Honestly, I don’t think I can write much on this right now – I just know that Peter seemingly gave up after Christ’s death and went back to his old life – fishing – the life he knew. Jesus found him and restored him by asking if he loved him. All I know is…. I do love him. I might have also turned away and felt disheartened after my own failings, but I do love him. Yes Lord, I do love you. Today, my firstborn son is six years old. Six years ago today, my world changed. We were no longer two – but three. I was scared, unsure of how to handle the new responsibility. I have seen him grow into a compassionate, loving, beautiful son … I am awed by the fact that six years have gone so fast – and I’m looking forward to the rest of his life! I felt led to seek out the biblical meaning of ‘six’ and found out that it is the number of man. Some of the meanings seem to have negative connotations (the serpent was made on the sixth day, and other stuff…) but I sense God is trying to say something about your birthday and the significance of six to Him for YOU. I feel that God is saying that you are in His eyes, a man … in the sense that He knows the end from the beginning, and he called young men from birth to be great leaders. 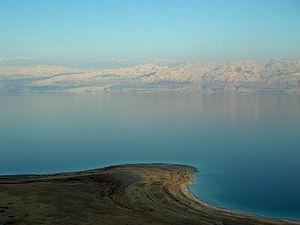 I hear ‘man after my own heart’ – like King David. Very many great men in the Bible were called as young men – Josiah was king of Judah at eight years old, and men like Daniel and David and Jeremiah were called into God’s service as teenagers. I see that God has his hand on you, and is calling you a ‘man after His own heart’ – even at the tender age of six years old! Continue to press into love, my son. God’s love shines forth from you as the sun’s rays on a bright summer morning. You light up a room when you come in. God wants you to continue to be loving, and caring, and compassionate, and helpful. On this, your sixth birthday, I want to bless you and publicly declare the admonition I spoke over you when I held you in my arms for the first time, “This is my beloved son, in whom I am well pleased!” And I again call you NIKAO ROBERT GIBSON – The OVERCOMER, with BRIGHT FAME! I have blogged before about my problems and issues over the past couple months. You can read about some what has been going on in a couple places: here and here and here and here; you can also get a better picture of my emotional state currently by reading up on the resurrection theme in my life right now. I thank all of you who have prayed and supported me in one way or another. During the time that I have gone through my emotional trauma, I suddenly realized that I am not the ‘me’ I was when I started: I used to write poetry profusely when I was a teenager, I love jazz but hardly spent any time pursuing the pleasure of listening to it, I never lost my liking for computers but stopped being a gamer – I never played video games and when I started playing any again I was reduced to the silly games on Facebook (can anyone say “Farmville”?) I hardly used to go out and though I enjoyed my life to an extent I realized that I was missing the things that I liked to do for ME. During this time, I have decided to slowly pick myself up and do things that I haven’t done in years – or have ventured out in for the first time. Certain things are coming back slowly – my passion for things electronic and gaming is creeping back (seems that took the hardest hit!) and I’m more able to let my hair down and enjoy myself. I wrote one that I posted on here recently – if you’re interested head on over and read Luscious… An Ode. It was written off the cuff and has a twist at the end. Hope you enjoy it. Are there any passions that you have lost that you think you need to get back to? In the wake of the passing of Tropical Storm Tomas that I blogged about earlier, I wanted to pay tribute to the public spiritedness and neighbourly kindness portrayed by my fellow Barbadians. We Bajans are (or can be) one of the most caring, compassionate people on the face of the planet. Time and time again before the all clear was given, people risked their lives to help their neighbours: people scaled the walls of their neigbhour’s houses to nail back down flapping roofs; went in groups to clear roads of fallen trees; been the voice of help for those who lacked water or electricity and needed help by calling the radio and tv stations to report what was happening. Of particular note was the phone call to the merged stations of the CBC (Caribbean Broadcasting Corporation – our lone tv station, with three radio stations under that corporate umbrella) where a woman reported that one of her neighbours needed help urgently as they were out of electricity and water – as most of the island was at that time – but also, there was a gas leak! At any time that house could have exploded as the gas ignited for whatever reason. Trees were removed, food was prepared, people who lost possessions were taken care of – a great testament to the caring nation that is Barbados. Another testament to our caring nature is the flood of national support as we buried our late Prime Minister, the Honourable David John Howard Thompson Q.C., M.P. (Dec 25,1961 – Oct 23, 2010), who died two weeks ago at 48 years old after succumbing to pancreatic cancer. The state funeral was on November 3rd, 2010, held at the Kensington Oval. Thousands of people crammed into the Oval to witness and pay final respects to a great leader, who remained, in the eyes of many, a man of the people. Dignitaries and the ‘common’ wept openly, and hundreds more lined the streets to catch a glimpse of the procession as it made its way to the final resting place – St. John’s Parish Church. May you rest in peace, PM.